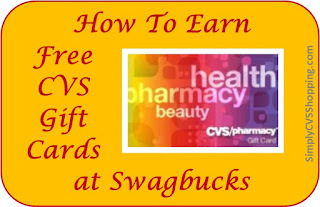 As we have shared before, Swagbucks is one of our favorite ways to earn free CVS gift cards for our CVS shopping. The Swagbucks' site has changed a bit over the years and I think it is a little harder to earn than it used to be, but it is still very possible to earn a few or many dollars each month thru online activities. 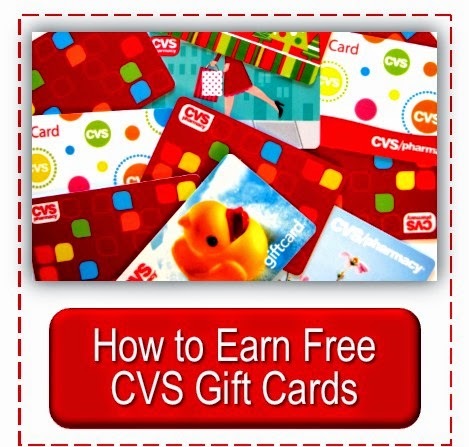 They offer dozens of different major retailers' gift cards including: Walmart, Ebay, Kmart, Amazon and Target but my favorite, of course, is the CVS gift card. 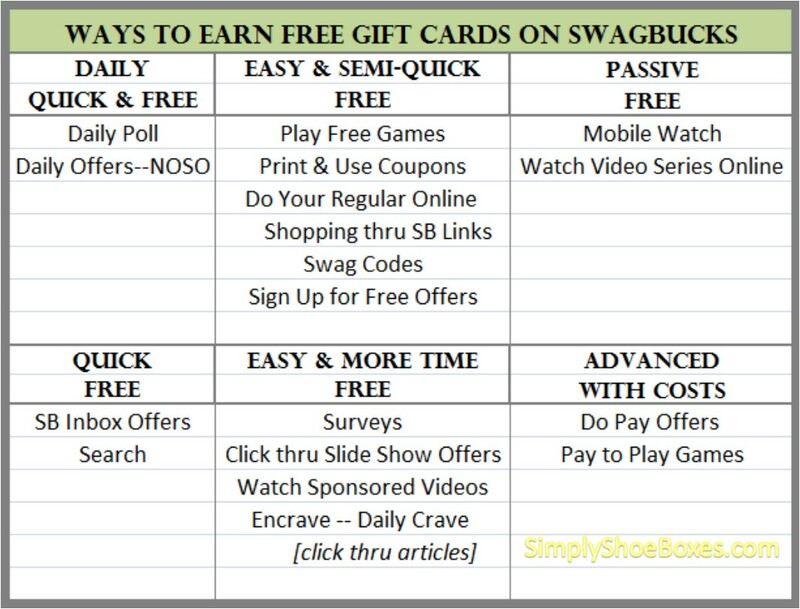 As you can see from the chart above there are dozens of ways to earn at Swagbucks. 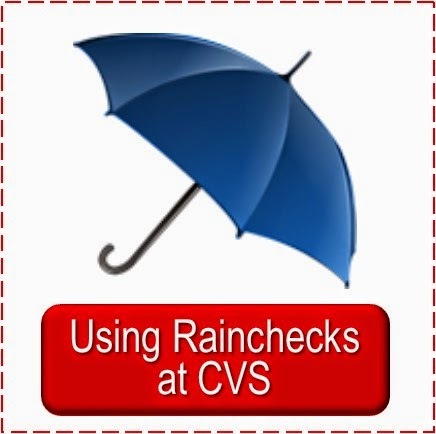 I will be sharing them all in detail now and in future posts for those of you interested in finding a simple way to earn free gift cards to help with out of pocket costs at CVS. For doing online activities you earn points called SB. One SB equals 1 cent. 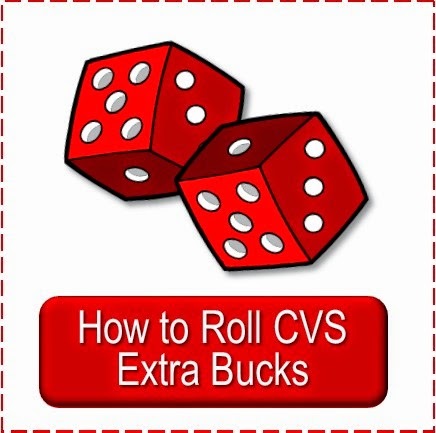 Swagbucks has CVS gift cards as low as $5.00 (500 SBs). They do offer $25.00 gift cards that can be purchased for just 2200 SB’s – if you save up for these, one SB will equal more than a penny. There are three free games to play and they are found at the bottom of the "Play" page (see image above). Swag Jump & Swagasourus Run are the quickest to play. You don't have to play long to get credit--I read where one person just sets Swagasurus Run to play and lets the dinasour fall off the first cliff--never playing at all. Find "Play" link in left side bar on Swagbucks homepage. Scroll to the bottom of the page to find the free games. This would be a great eye/hand coordination exercise for children (just be aware in the higher levels of the Swag Jump there is an astroid belt with some space junk, not disturbing images, but just something to be aware before your kids see it) and they can play and you can earn. Swagbucks offer coupons.com printable coupons and rewards members 10 SBs for each one redeemed. Click on the "shop" link on the left hand side of the homepage, then click on "grocery coupons" in the left hand sidebar to get to the coupons. Earnings: 10 per coupon printed and redeemed -- takes several weeks for it to credit. Swagbucks offers rebates in the form of SBs for online shopping at national stores such as Kohl's, Lowe's, Walmart, Gap. Many stores you can order online and pick up in the store and you still earn SBs. Earnings: Varies depending on how much you shop online. Usually between 1 and 5 percent back on each purchase. Find the "shop" link in left side bar on Swagbucks homepage. Time: Just a few seconds on the way to the online store you want to shop at. Each day Swagbucks offers a Swag Code to be entered in the box at the top of the homepage. It is usually sometime in the afternoon. If you add the Swagbucks app to your phone you will get notifications or just check their Facebook page and they will be sharing about them or others will be discussing them or sharing the code in the comments or posts sections. Several times throughout the year they have swagcodes "extravaganzas" and offer up the 30 or more total SBs thru several codes for the day. Earnings: 2 SBs & up per day. Time: Just a few seconds. 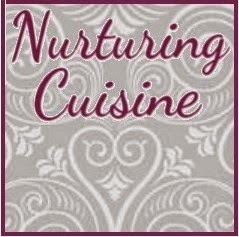 Download Daily apps to your phone. I am not familiar with this, but I have seen you can earn SBs for downloading apps -- you can find it on the Swagbucks mobile app. Many people buy a cheap second phone with no service to use for their mobile activities and use just WiFi. I have an old phone without service that I use because I don't own a cell phone. Swagbucks offers many different offers to sign up for which they reward members. Sometimes it is just an email address other times it is name and address. Earnings: Varies from a few to hundreds of SBs. I have often gotten between 15 and 25 for just using an email. I have a junk email for this. Find the "Discover" link in left side bar on Swagbucks homepage and also click on the various links in the sidebar on the discover page to check them all out or scroll thru the deals on the homepage. Sometimes they will show up in your Swagbucks inbox. Time: just a few seconds to fill out the forms, but it can take some time to find them on the site. I usually just look over the ones on the homepage or on the "free" tab on the discover page. Total Earnings Possible for Category #2 are a wide range depending on how much you do in each category, but just the games and swagcodes would equal about $50 a year in gift cards. 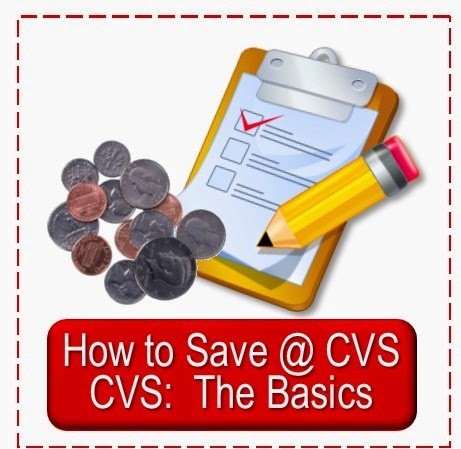 So you can see there are dozens of ways to help you earn enough to help pay for some of your CVS out of pocket costs each year! With more time spent you can earn hundreds each year. 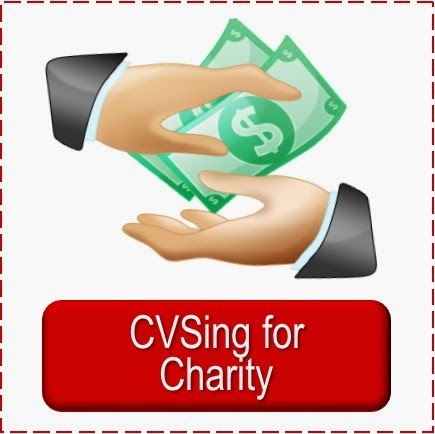 We used to only earn CVS gift cards for our personal CVS shopping, but now we enjoy earning free gift cards for shopping to fill shoe boxes for kids in need (see our shoe box packing journey at Simply Shoe Boxes). 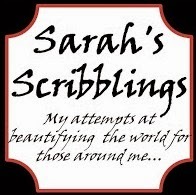 If you haven’t signed up for Swagbucks yet and you sign up thru the links in this post Sarah will earn when you earn. These are her referral links and anyone who signs up under her account she will earn 10% of what they earn (on most activities). I will share more ways to earn free gift cards thru Swagbucks in later posts. Disclosure: Links in this post are my personal Swagbucks referral links.